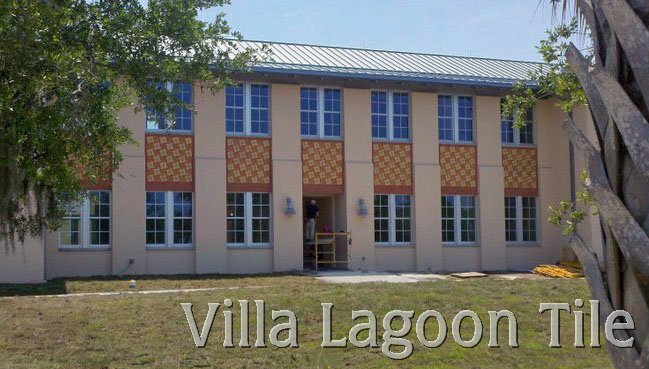 We were thrilled when the architects of the new administration building at New College choose Villa Lagoon Tile to make the custom cement tile based on their logo for the building's exteriors. Of their logo, the New College website says: "The sun which dominates the landscape becomes the central pivot, symbolizing the light of knowledge and the source of life and energy. The gentle and continuously moving lines represent the sea and the wind, the controlled waxing and waning of the four seasons, and the four points of the compass. We know that for at least 2,500 years the flowing movement of this design has had symbolic meanings of continuity and variety; so it does for New College. For us these never ending forms imply that New College will always move forward; that it will forever be what its name was chosen to portray; the constant newness of the searching for knowledge and truth." 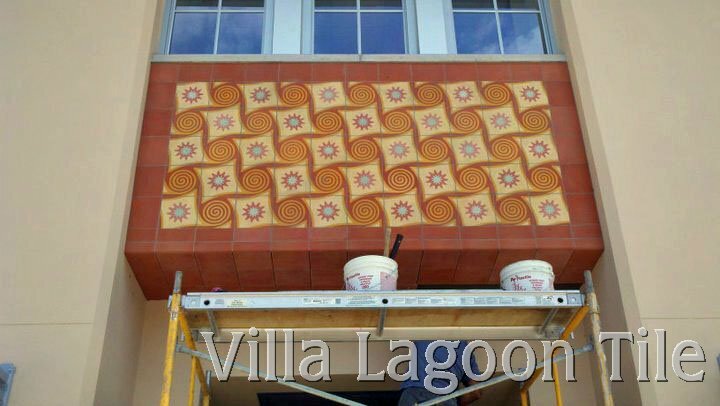 We spent quite some time in developing the molds for this tile and getting approval from the architect and the college. Below are some of our working drawings and images. 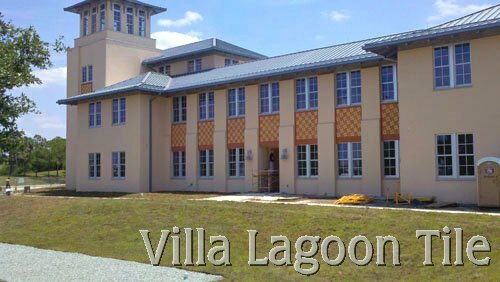 Located at the corner of US 41 and College Drive, the new $11 million signature Academic Center and Plaza will boldly announces the entrance to the state honors college for the liberal arts and sciences to more than 55,000 daily passers-by along Sarasota’s North Tamiami Trail. The building and its spacious outdoor plaza connects with the adjacent Jane Bancroft Cook Library. Designed by internationally-acclaimed architects and urban planners Moule & Polyzoides of Pasadena, California, and constructed by Ajax Building Corporation of Florida, the new 35,000 square-foot, LEED-certified facility contains classrooms, faculty offices and a courtyard café that will be open to the public upon the building's completion. 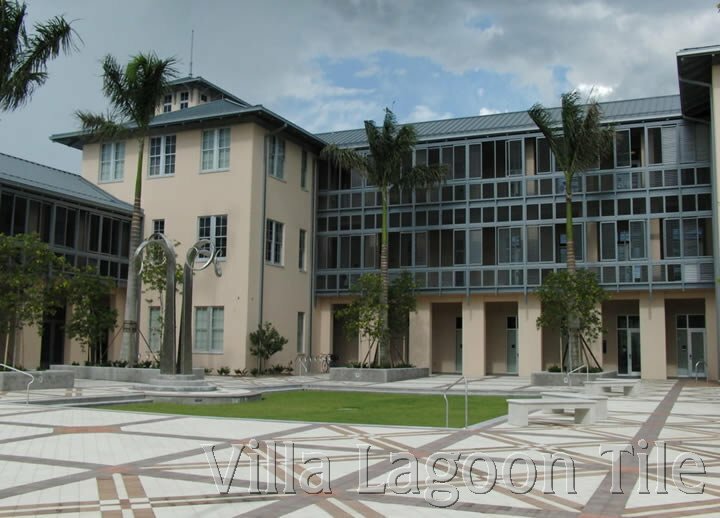 Funding for the project was provided by the State of Florida. "It promises to be a true 'center' of campus life." stated President Mike Michalson in his opening remarks at groundbreaking. "The Four Winds logo has been incorporated into the contemporary mark that you see throughout our website. 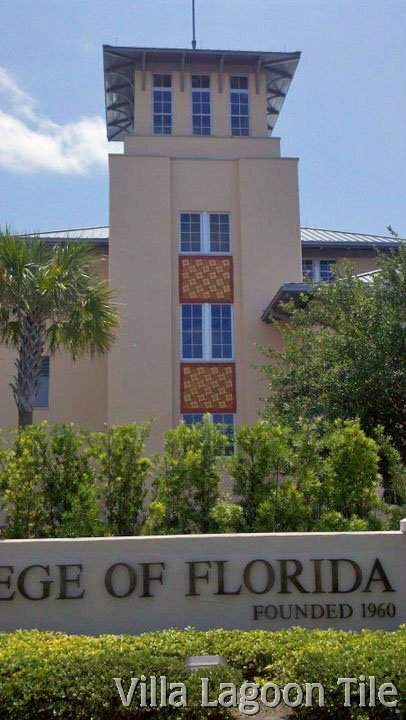 The dynamic diagonal icon breaks out of the norm of the typical horizontal or vertical grid and suggests the many different perspectives that at converge at New College of Florida. Eight words have been selected to represent our basic character, with "four" being the most cogent: Innovative, Inspired, Intellectual and Involved. Like the four seasons and the four points of the compass, these four qualities guide our path." 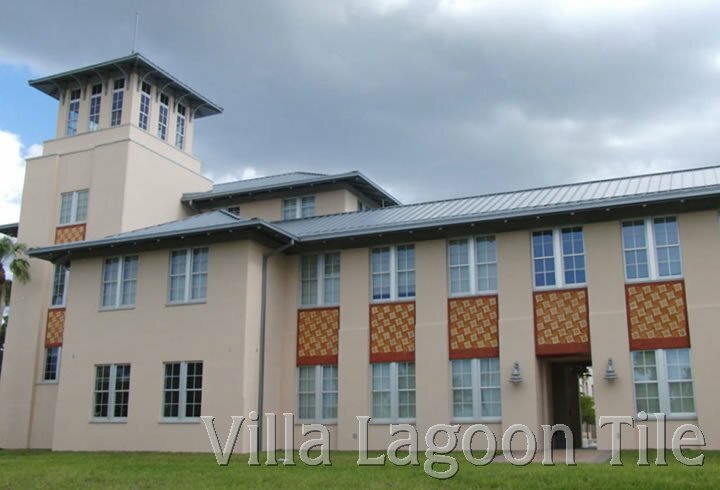 New College of Florida Website.